Living a Fit Life Should be Fun! Take time away from the everyday. Visit beautiful places. Rejuvenate your body & mind. 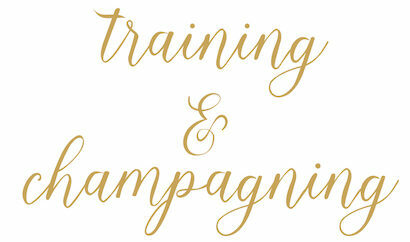 Welcome to Training & Champagning™! We all need to be able to take time to do something good just for ourselves. Whether it’s learning something new, going to the gym, taking a yoga class, meditating, trying a new recipe, meeting friends, doing an activity you love, indulging in a spa treatment, sipping a glass of wine or just sitting and reading a book or enjoying the scenery. This was my inspiration for Training & Champagning™ and our retreats. When you take time away, you should leave feeling refreshed instead of like you need a vacation from vacation. Do yourself a favor. Treat yourself. Take the time. And come back to your everyday life recharged and ready to be present and an active participant in your life! “This weekend was truly life changing for me. For the first time in many years, I felt restored back to my non-stressed self and ready to take on the world. Thank you, Julie, for hosting such an incredible event. Your attention to detail made it absolutely perfect for each of us. Plus, I got to meet some wonderful new friends. I'm looking forward to my next event!" "A most excellent weekend with a wonderful group. 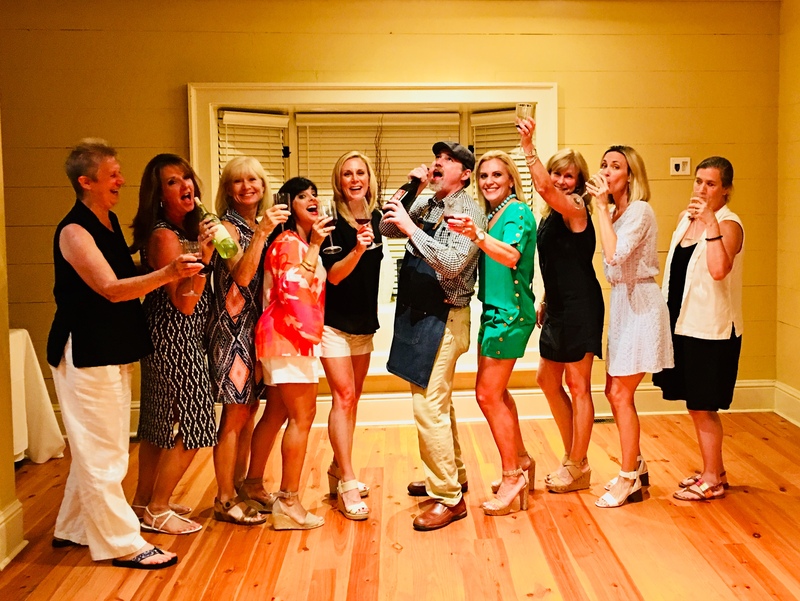 Julie Jones provided us with an unforgettable weekend with food, fun, fitness, relaxation and a beautiful venue. Julie's thoughtfulness, attention to detail, information on fitness and nutrition, guidance and support, graciousness - I really could go on and on.... This was the most enjoyable, relaxing, informative time I have spent in a very long time. I was in dire need of something just like this, so I am very pleased I was able to participate." I spent the most relaxing and refreshing weekend with old friends and new! 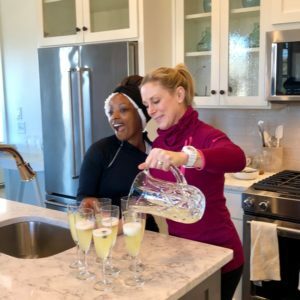 Thank you Julie and Training & Champagning for a wonderful weekend of fitness, relaxation, healthy delicious food and wine. It was perfection! 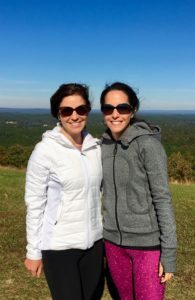 I spent an amazing weekend in North Georgia, working out, eating healthy - all paired with wine - and getting a sports massage. We even had an inspiring coaching session with Jen Baggett of Catchlight Consulting, LLC. 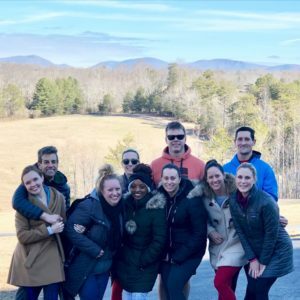 It was so good to have a weekend to reconnect with friends, meet new ones and enjoy the peaceful surroundings of the North Georgia mountains. Thank you Julie for Training & Champagning!!! 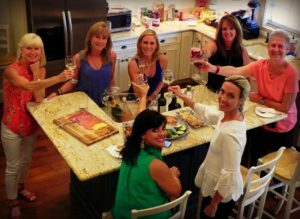 Looking forward to more retreats! Let’s talk about how you can begin to live a more fit, more healthy and fun life!